I am so excited to be participating in this year’s Freaky Friday Blog Hop: Winter Edition! For those of you that aren’t familiar with Freaky Friday, it is a group of food bloggers that get assigned a secret blog and we get to choose any recipe we want to make from it for our blogs. Then all of the recipes are revealed at the exact same time and we get to see who had our page and which recipe they selected! It has been a great way for me and my readers to find new blogs to follow, and I feel honored to be a part of it! The blog that I was assigned was Pic-Nic’s and I was absolutely STOKED to get to choose something to make from her blog! She is a rockstar blogger named Nicole who was one of my very first blogger friends! We started our blogs around the same time and it has been so much fun to grow together! Her blog is wonderful and her specialty is DESSERTS! Oh and in her spare time she also recently completed her PhD in neuroscience/biochemistry. Not too shabby huh? I knew right away I wanted to bake something from her blog. Baking is not normally my thing, but I wanted to step out of my comfort zone for this one. Plus, my hubby hasn’t had a homemade dessert in an embarrassingly long time! It was tough to narrow it down to a single recipe! This Chocolate Mudcake is next on my list to try! Preheat oven to 350 F and grease a bundt pan. Cream the butter together with the sugar until pale and fluffy. Add the eggs one at a time, mixing well between each addition. Stir in the vanilla. Sift together the flour and baking soda. Add to the butter mixture alternatively with the buttermilk. Mix until everything is incorporated. Pour the mixture into the greased bundt pan and bake for 50 minutes to 1 hour, or until a skewer inserted into the center of the cake comes out clean. Cool in the pan for about 10 minutes before turning out onto a wire rack to cool completely. Once cooled, sift the icing sugar into a bowl and add water until you have a paste-like consistency. Stir in the vanilla. Drizzle over the cake. Lisa’s Dinnertime Dish and Who Needs A Cape? This cake looks amazing!!! I love a good bundt cake and cannot wait to bake this up! My family is going to love it!!! I absolutely love cake and this one looks so delicious! I’m so excited about this post Brandi!! Thank you so much for baking from my blog and for the lovely words about me and my blog. It looks like this turned out amazing! You’re the rockstar! What a yummy cake! I’m not much of a baker so “beginner” type recipes are perfect for me! This is exactly the type of recipe my family would like too…they don’t like overly sweet desserts. Can’t wait to try it! SUCH a pretty cake! Can’t wait to try it. 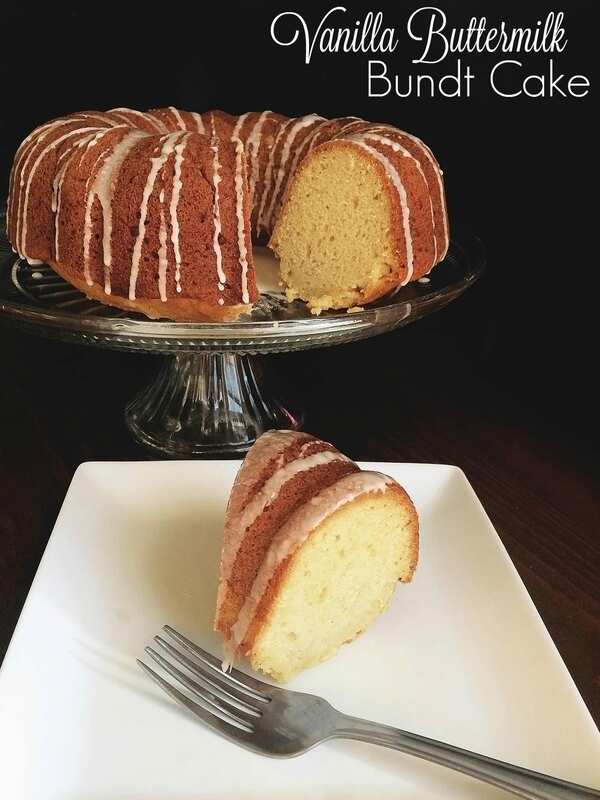 Bundt Cakes are so fun to make. This one looks like a keeper! Wish I had a slice! 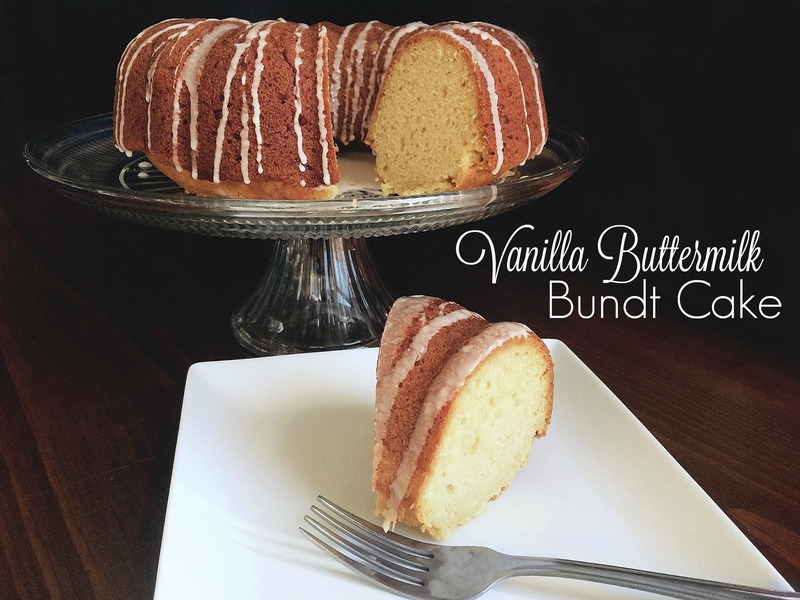 I love me a good bundt cake! Vanilla and buttermilk sound great in this – I love a dessert that’s not too sweet! A scientist and a skillful baker definitely goes hand and hand! You did a wonderful job. This looks perfect and boy would I love a slice right now! I want this cake all for myself! I just bought a new bundt pan last week and I think this would be a great way to try it out! Brandi this cake looks just delicious! It may just pop up on my table for Easter!